To find out what's on in the hall, click here. The Hall is available for hire by clubs, individuals and organisations for meetings and events and for private parties and functions. The hall holds up to 140 people and there is a separate annex room. 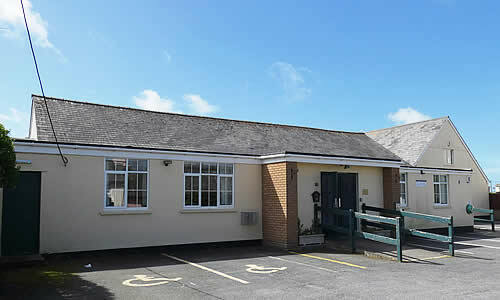 The main hall has a modern, well equipped kitchen, stage and toilet facilities including disabled toilets. The annex also has a small kitchen and toilet facilities. There is a large parking area in front of the hall and an overflow car park over the road. To find out more about hiring the hall, click here. car parking -- wheelchair access -- disabled toilet -- well equipped kitchen -- wooden dance floor -- PRS/PPL license -- wi-fi enabled.